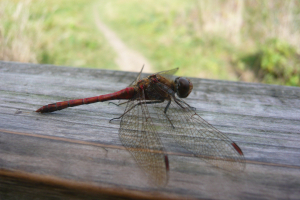 Observation - Large Red Damselfly - UK and Ireland. Description: On footpath gate, along side river bank. On footpath gate, along side river bank.